For anyone who likes fishing for Murray cod or just fishing in general for that matter here’s something you may find worth a look. 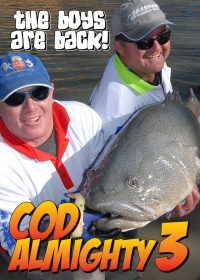 The highly anticipated Cod Almighty DVD featuring the capture of numerous giant Murray cod are now available. Shot on the Murray River, it purveys what it is to spend time chasing the Murray’s greatest living treasure.